Originally published in 1986. William Faulkner’s major novels represent one of the earliest American explorations into the paradoxes inherent in both literary discourse and racial segregation in the American South. Figures of Division demonstrates that these works reject conventional divisions and a social and linguistic deception, and discover a reality where people merge across social boundaries. 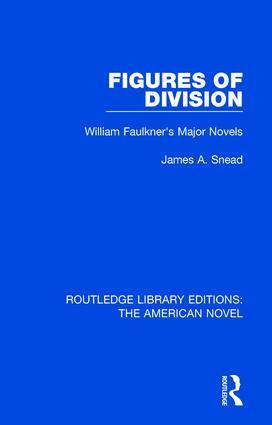 This analysis of Faulkner’s narrative discourse shows for the first time that the mechanisms of social division profoundly affect both the content and the form of his major novels.